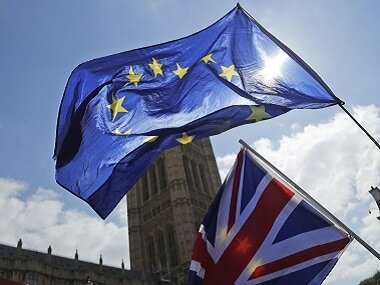 London/Brussels: European Union leaders on Sunday approved a landmark Brexit deal, the basis of Britain's divorce from the 28-member economic bloc, hours after UK Prime Minister Theresa May vowed to campaign with "heart and soul" to get the agreement approved by Parliament amid stiff opposition. The leaders of the remaining 27 countries of the European Union (EU) signed off on the controversial Brexit withdrawal agreement. European Council President Donald Tusk, after a special summit in Brussels this weekend, tweeted: "EU27 has endorsed the Withdrawal Agreement and Political Declaration on the future EU-UK relations". May now faces the final and biggest hurdle of getting the deal approved by the UK Parliament where many MPs from her own party remain vehemently opposed to it. Tusk had signalled on Saturday that the deal would be approved after Spain withdrew last-minute concerns over Gibraltar, a British Overseas Territory on the Spanish coast. The agreement, which May has described as the best possible outcome for the UK and repeatedly taken to the airwaves to urge public support in the last few weeks, follows more than 18 months of negotiations between the two sides, which began when the UK triggered Article 50 in the wake of the June 2016 referendum in favour of Brexit. In a letter to the nation issued by 10 Downing Street this weekend, May once again pleaded with the public to get behind her deal which will mark "a new chapter in our national life". "It must mark the point when we put aside the labels of 'Leave' and 'Remain' for good, and we come together again as one people. To do that we need to get on with Brexit now by getting behind this deal," she wrote. She said that "instead of an immigration system based on where a person comes from, we will build one based on the skills and talents a person has to offer...Outside the EU, we will be able to sign new trade deals with other countries and open up new markets in the fastest-growing economies around the world". 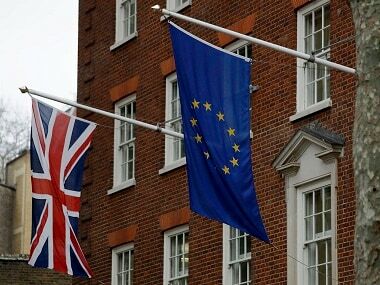 The UK is scheduled to leave the EU on 29 March, 2019, with a 21-month transition period kicking off when all rules will remain unchanged and during which time the Political Declaration will be worked on in finer details to hammer out of free trade agreement between Britain and the EU for the future. The withdrawal agreement is needed to ensure that the process can take place in an orderly fashion, instead of the UK crashing out of the economic bloc without any arrangements in place for the future. There was no formal vote required by the remaining 27 members of the EU meeting on Sunday, as the withdrawal agreement was approved by consensus. Before the meeting, European Commission President Jean-Claude Juncker said the UK's departure was a "tragedy" for the EU and Ireland's Indian-origin Prime Minister Leo Varadkar said the deal allowed for an "orderly withdrawal", in reference to the thorny issue of keeping an open post-Brexit border with the UK's Northern Ireland. 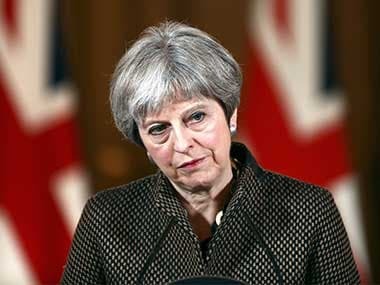 The UK Parliament is expected to vote on the deal in early December, where its approval remains shaky, with Opposition parties Labour, Lib Dems and the Scottish National Party (SNP) as well as government-backing Northern Ireland's Democratic Unionist Party (DUP) and many MPs from the ruling Conservative Party set to vote against it. "I will be campaigning with my heart and soul to win that vote and to deliver this Brexit deal for the good of our United Kingdom and all of our people," May says in her letter to the nation. All eyes will now be on the Parliament vote next month, with the agreement going back to the European Council where a majority of 20 out of 27 states will need to vote for it. It will then need to be ratified by the European Parliament, in a vote expected to take place in early 2019 as part of the tight timeline for the whole process being concluded before Brexit Day of 29 March, 2019. If British MPs reject the deal, a series of scenarios are expected to play out, including the UK leaving with no deal, or an attempt to renegotiate or even a General Election.